We live quite close to an airport serving France, Switzerland and Germany. 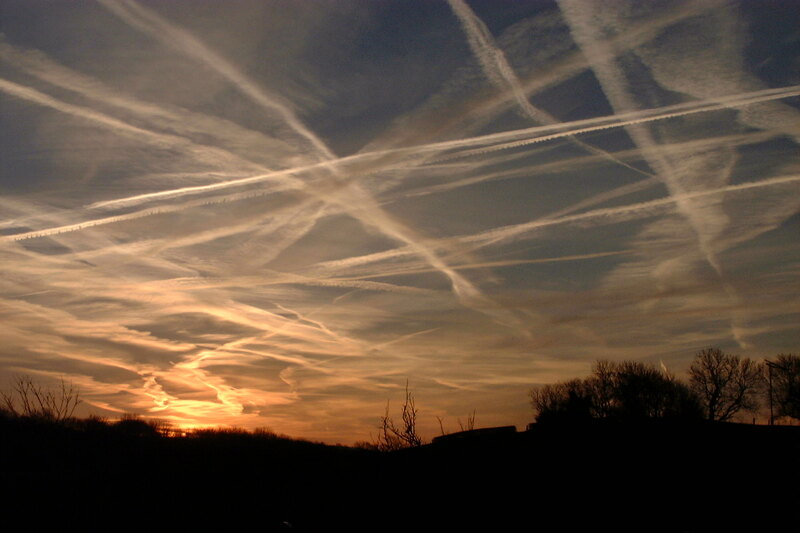 Being that there are many flights overhead, the sky often looks like this photo, crisscrossed with contrails. I really do not mind them. And I am not one of those believing in a “chemtrail” conspiracy. This is the unscientific suspicion that believes contrails are proof of some kind of secret spraying program! The word “contrail” is an abbreviation for “condensation trail.” It is simply a long thin vapor trail sometimes forming behind a plane, usually above 26,000 feet. All kinds of variables are at play including temperature, humidity, altitude, and air pressure over the wing. The point is even when the airplane is out of sight, one knows an airplane has been there by the contrail. Our verse for today is a glowing testimony regarding the lives of Peter and John. They lived their lives in such a way as to leave a definite trace. They had spent much time with Jesus and it showed in their lives. Long after they were gone, there was evidence that these two men had walked this earth. There was not much to recommend them in the eyes of the world. They were just ordinary men without even a higher education. Yet, they made an impact on those around them and through the Scriptures, their lives still speak today. Life can be short. My life is like a plane briefly passing by. But, spending time with Jesus leaves a “contrail” of testimony to His love and grace. Lord, give me courage to live a life totally committed to You. I have lots of these cards around. Unfortunately, I do not always remember to carry them with me. The idea is to encourage repeat customers. 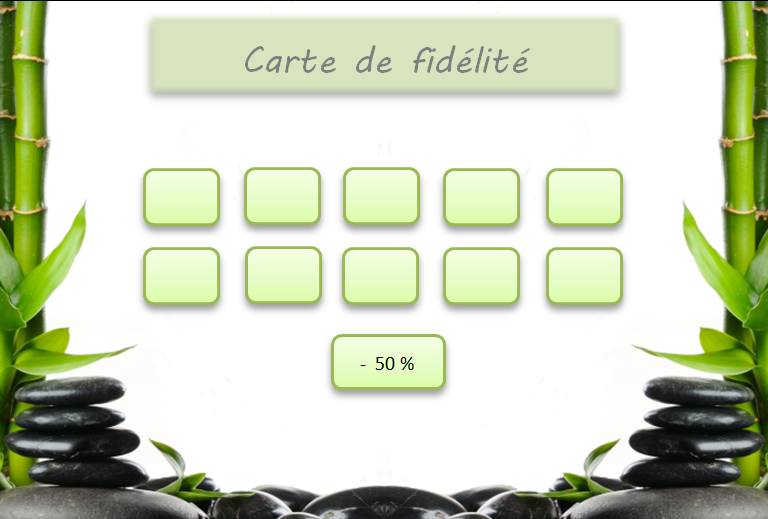 The name of this card in English is, “Faithful Card.” One is awarded a discount or free item after so many purchases. With these incentives one would think I would be a more faithful customer. But relying on my faithfulness is not a sure thing! Our verse for today is surprising. This psalm of David invites God to test, try and examine his heart and mind. That is a difficult prayer to pray! It can be quite convicting and uncomfortable to hear His response. But there are two reasons David can be that open and honest with the Lord. He was convinced of two truths; that God’s love for him would not waver and that God would remain faithful. We do not need a “faithful card” to chart God’s faithfulness. We have a written inspired record of His faithfulness in His Word. We also have a personal story to tell of His faithfulness in our lives. His love is unfailing. He has committed Himself to those that belong to Him. We waver and are fickle, but His faithfulness is something on which we can rely. I can be just as open and honest as David. When God sees into my heart and mind, surely He will see some ugly things. But because He is Love and He is faithful to forgive (I John 1:9) I do not fear for what He sees. Thank you, Lord, that I can rely on Your faithfulness. We are experiencing World Cup fever here in France. This picture taken from the London Evening Standard captures some of the intense emotion. There are big screens set up in public squares and people are proudly waving the flag of their preferred country from their homes. I do not normally watch soccer but I have been swept up in the excitement! Some of the victories have been unexpected! There is surprise when a team with no super star somehow takes down a team expected to win. Often, big hopes are pinned on some key players. But when a team works well together, there are some amazing wins. Regardless of which team member makes the goal, all are important and play a key role. Our verse for today speaks of the Church as a body with a head. That Head is Christ (Col. 1:18). There are no other super stars. There is no body without Him. If we lose our connection with Him we have lost everything. We each have a role to play as members of this body, and there is no growth without Him. John says it differently with the image of Vine and branches…..without Him we can do nothing (John 15:5). There is a temptation to think I am really something! The context of this verse is about false humility and being puffed up. With this attitude I lose connection with the Lord and I lose connection with other members. That is because it is Christ who holds us together. There is only One “Super Star” in the Church. Victory is ours! Thank you Lord, that we win together! Who can resist Belgian chocolate, said to be the best in the world! We were just in Brussels where there were chocolate shops every few feet! We finally had to break down and buy some! The problem came with the bill. The saleslady, harried and tired, accidentally charged us 1,055.00 euros for a 15 euro purchase! We thought it amusing until she explained she could not reverse it. She suggested we leave our bank information and the store would reimburse us! We were flabbergasted! Even though she did not know how, she tried to annul the debt and ended up charging the same amount AGAIN! Finally, after some expensive minutes on our cell phone to our bank in California, it all got straightened out. And the chocolate ended up being free! There is a much more important debt in our verse for today. It can never be completely paid and it is the debt of love. It is a continuing debt as no one can say they have paid it in full. Perfectly loving others completely fulfills the Law. This is because all of the Law is summed up in loving one’s neighbor as one’s self (verse 9). There is only One who has been able to fulfill the Law with a perfect love; Jesus. Quite frankly, we did not feel a tremendous love for this saleslady, although the Lord worked in our hearts to eventually show compassion and patience. We all fall short. Thankfully, Jesus has made His love available to us in the person of His Spirit. His filling and control can change any situation with a difficult person. Lord, fill my heart with Your love today. 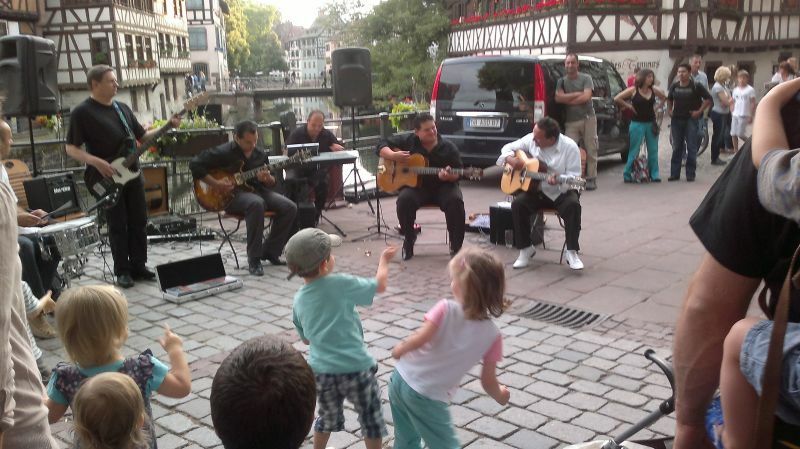 We just celebrated the Fête de La Musique here in Alsace. Every June 21st, the streets are filled with free concerts and impromptu dancing, celebrating the first day of summer. This all-day music festival was launched in 1982 by the French Ministry for Culture. The idea was to make concerts free and accessible to everyone. Its purpose was also to encourage the amateurs, especially after a study showed that in 1982 one of every two French children played a musical instrument. Since its beginning it has spread to over 100 countries in Europe and all over the world. Our verse for today speaks of another reason to sing and dance. The Lord takes delight in me! The context of this verse says that the Lord is my Maker. He has personally fashioned me and created me to belong to Him! He is also my King. My allegiance is to Him and He rules my life. Having a humble attitude as His subject means that He crowns me with victory. As wonderful as the arrival of summer is, these reasons to celebrate are far more impressive! I am overwhelmed with the idea that God could take delight in me. It just does not seem possible. I know my own black heart. But He sees me through the righteousness of His Son, Jesus. He sees the perfect me. That is reason enough to burst into jubilant song with music! (Psalm 98:4) He delights in me and has given me victory! For the believer, every day can be a Fête de la Musique! May this day be filled with praise and song to You! Categories: Devotions, Self Image | Permalink. 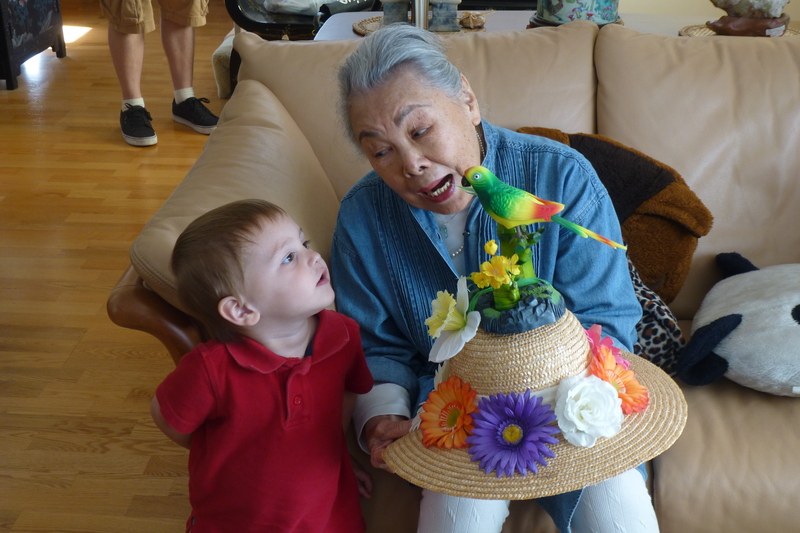 I love this picture of our grandson and his Great Grandmother. There is something so sweet in seeing different family generations together. Unfortunately, the amount of Chinese genes in the family gene pool diminishes with each successive generation. I so dearly want to hold on to the Chinese heritage of my husband’s family. There are some traditions and values that are very much worth continuing. But as one can see from the photo, there is very little physical resemblance. Our verse for today describes special blessing for the children of those who fear and obey the Lord. Genetic or cultural differences passed down to each generation cannot compare to the value of a godly example. I am thankful for my Mother-in-Law’s faith in Jesus and the example she gives to both her sons and her grandsons. I am thankful that our family is doubly blessed with Grandparents on my side of the family who love and obey the Lord. I know that my siblings and I have been blessed because of their example. Our lives as godly parents have a positive affect on our children and grandchildren as God blesses them for our sake. But as the saying goes, “God does not have grandchildren.” The step of faith to begin a personal relationship with God through Jesus is not a step any family member can make for another family member. It is my fervent and daily prayer that each of my grandchildren make the most important decision of their lives; to follow Jesus Christ. Thank you Lord, for the blessings in following You. 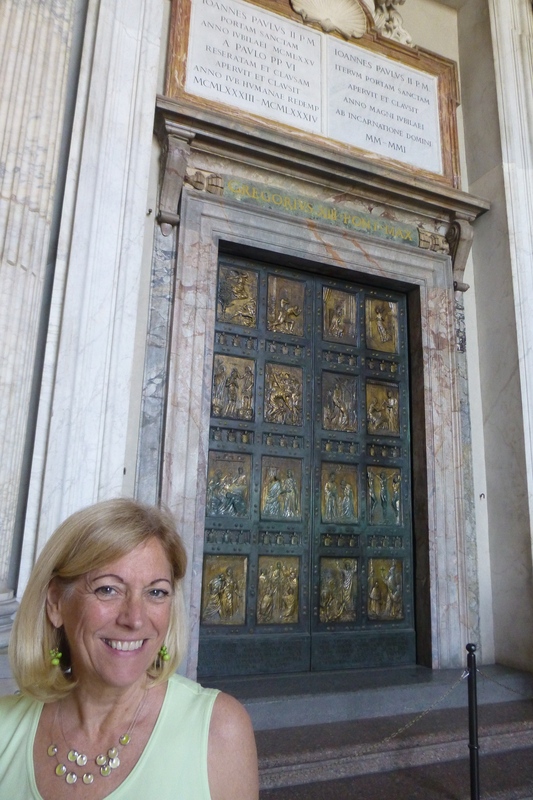 I am standing in front of what is called a “holy door.” It is found in Saint Peter’s Basilica in the Vatican. This is one of four holy doors in the papal basilicas of Rome. In times past it was opened once every hundred years, then every fifty. Now, it is cemented shut from the inside and only opened at special times at the discretion of the Pope. It is opened to grant all who pass through a “plenary indulgence.” According to the Catholic Church tradition, this means a removal of all temporal punishment due to minor sin. Our verse for today is spoken by Christ to one of the seven churches; Philidelphia. He commends them for their good deeds and perseverance. The door to the Kingdom of Heaven is opened to them. Nothing and no one can shut this door! Jesus took on Himself all the punishment for sin. It is only through Christ’s sacrifice that we have access to the Father. There is a stern warning to the teachers of the Law and the Pharisees. With their emphasis on works and their rejection of faith in Christ, they shut the door of the Kingdom of Heaven in people’s faces! (Matt. 23:13) They not only refused to enter themselves but used their influence to keep others from entering. I am grateful the door of faith in Christ and entrance to Heaven stands open today. There is still opportunity to enter. But one day, He will shut that door. Thank you Lord, for Your patience and grace today to keep that door open. Categories: Grace and Forgiveness, Salvation | Permalink.